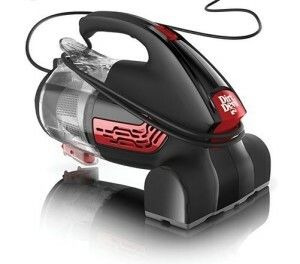 There are not many other websites, if any, that provide dedicated in-depth handheld vacuum reviews. 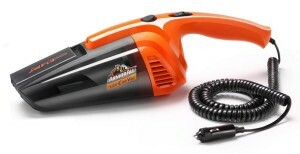 Here at BestHandheldVacuums.com, we do exactly that, whether it’s a cordless or corded model that’s designed for pet hair or for in-car use, we got you covered. Our team of expert market researchers, some of whom have worked for vacuum brands, and others who are just obsessed with home cleaning, scour the Internet and gather detailed data about each and every one of the handheld vacuums we review. Our data consists of real life customer experiences, consumer reports, testing procedures and technological statistics. We cover the most important aspects of a handheld vacuum such as effectiveness of construction and design, suction power, battery efficiency, lifespan, included attachments and retail price. All of this information combined provides you with a precise conclusion about the reviewed product. The nature of cordless vacuums means that they’re generally not going to be as powerful and consistent as their corded vacuum equivalents, with the exception of the highest quality models such as the Dysons. In our cordless handheld vacuums reviews section, we seek out the best in this category in terms of suction power, charging and run times and the quality of the battery used, which is one of the most important elements of a cordless model. With a corded vacuum, there’s much less to worry about. You don’t have to worry about how long the battery will last for or whether the suction power will begin to fade, since there is no battery to rely on. It’s also cheaper than cordless vacuums. What you do have to consider is how long the cord is, how strong the suction is and how effective it is at doing its intended job. Click here to check out our corded handheld vacuum reviews. 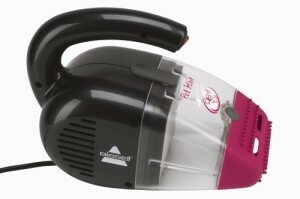 An effective handheld vacuum for removing pet hair should be able to easily pull hair from carpets, rugs and upholstery, without masses amount of it getting stuck onto the brush head. Ideally, it should also have a good battery life if it’s a cordless model, since removing pet hair usually takes longer than vacuuming a bit of dirt from the floor. Read our reviews of the best pet hair handheld vacuums here. 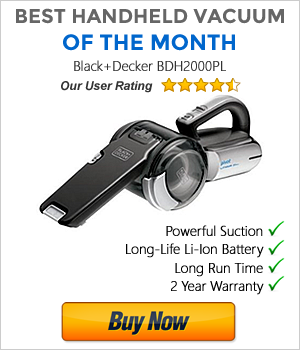 What makes a good handheld vacuum for cleaning inside cars? Ideally, it would be lightweight, have a long cord (if it’s a corded model) and be effective at removing dirt from the car’s interior. There are only a handheld of vacuums that are able to do this effectively, some of which are completely designed for this use. You can read the reviews here. If a particular product has made it onto the best sellers list, that usually means that not only is there value in the product, but it’s got to be good somehow, but perhaps not the best. In our most popular handheld vacuum reviews section, we take a look at what models are the most favored by customers, and seek to find out why. It’s well known that a handheld vacuum will not produce the same power as an upright or full sized vacuum (unless its name is Dyson! ), but what if you want one that can do more than just pick up tiny debris here and there? While the following handheld vacuums will not replace your regular vacuum, they still perform much better than the average model, which allows you to clean up more efficiently. 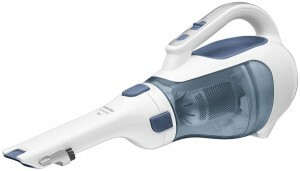 You can see reviews of our most powerful handheld vacuums here. In my opinion, blindly picking a vacuum based purely on brand name is not wise. Every brand is susceptible to producing duds once in a while, therefore, you must focus more on the specific model rather than the brand name. Even the most well renowned vacuum manufacturers such as Dyson and Black & Decker have poorly constructed models. We have dedicated brand name sections where their specific handheld vacuum models are reviewed. Last but certainly not least, our comparison charts are the most popular “articles” on our entire site. This is where you can compare the features and technical aspects of each handheld vacuum in their respective categories, allowing you to make a quick and informed decision. Click here to see all of our handheld vacuums comparison charts.